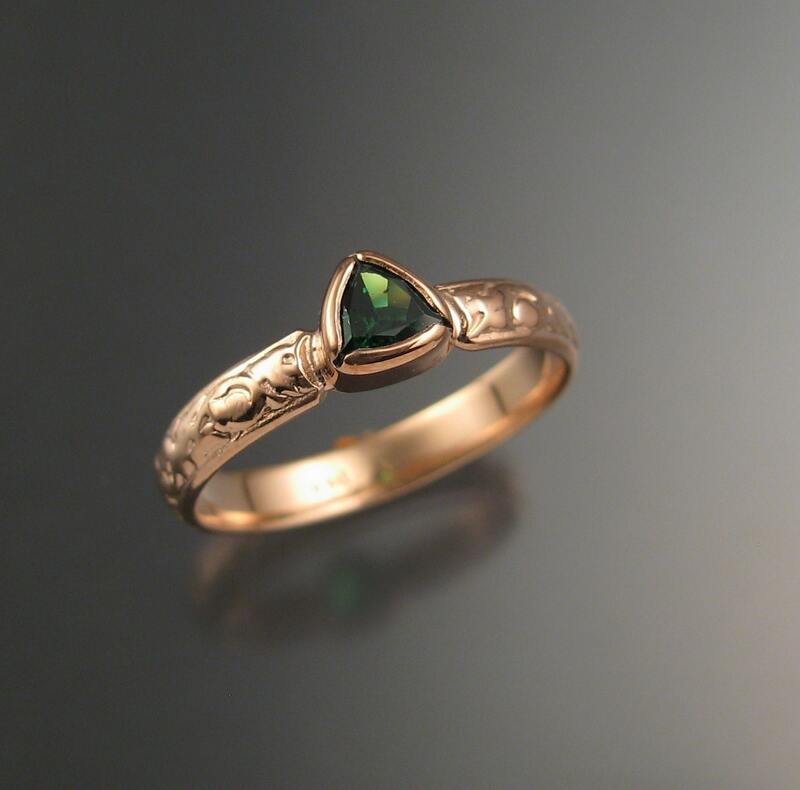 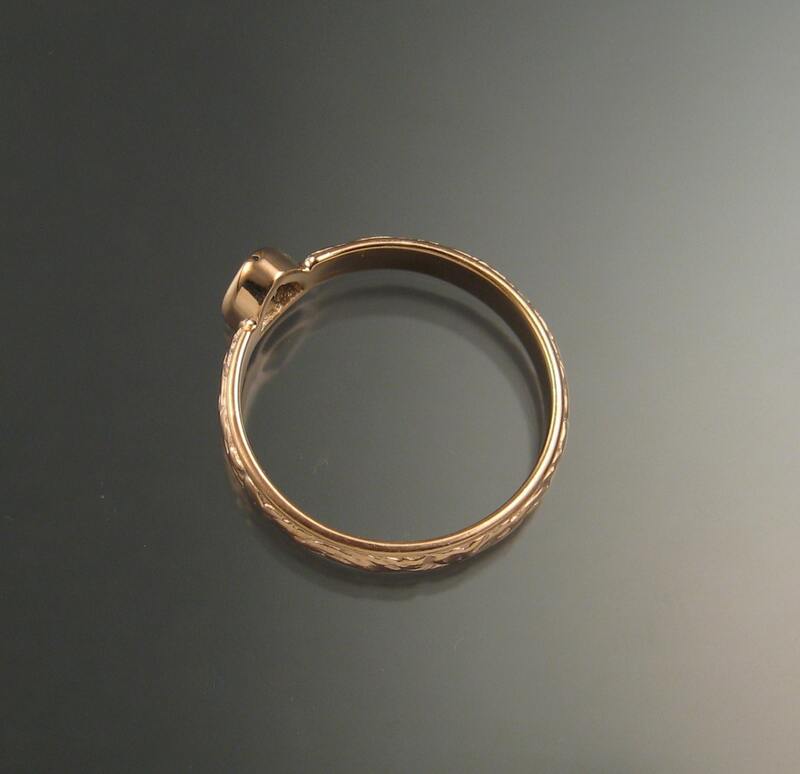 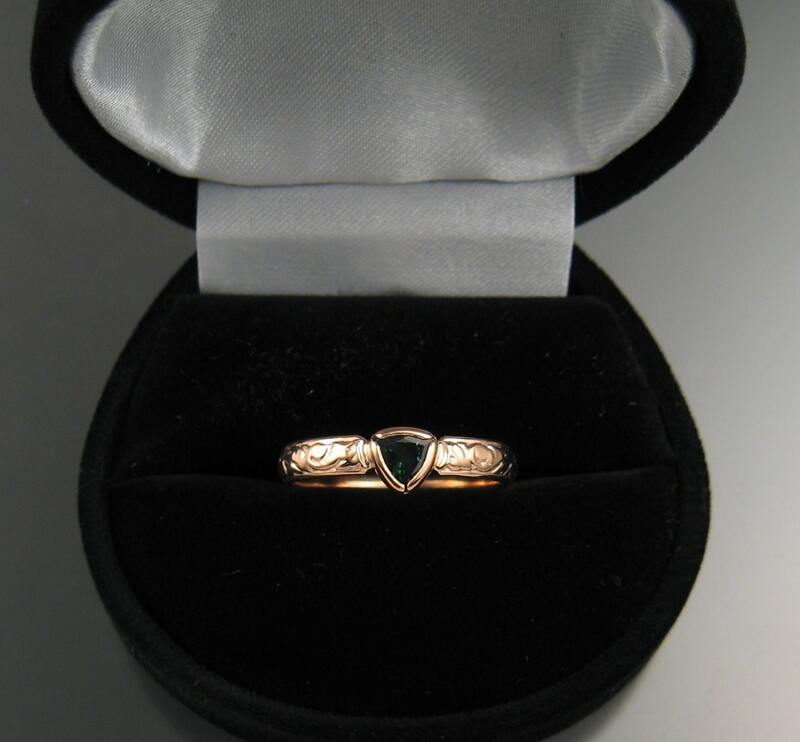 Set in 14k Rose Gold with a 4mm triangular Green Tsavorite Garnet from Tsavo Africa. 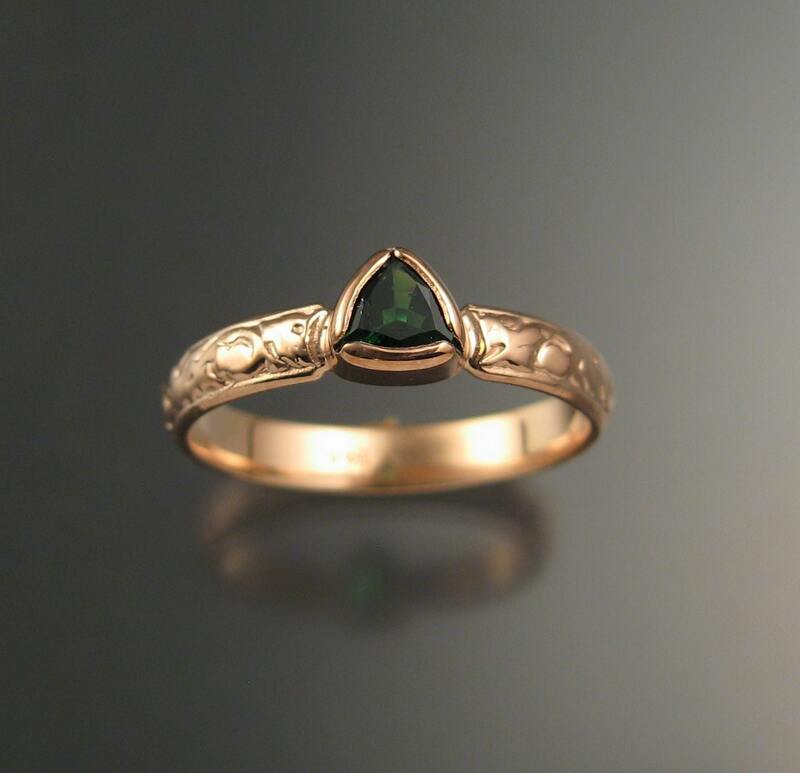 Tsavorite is an excellent substitute for natural Emerald. 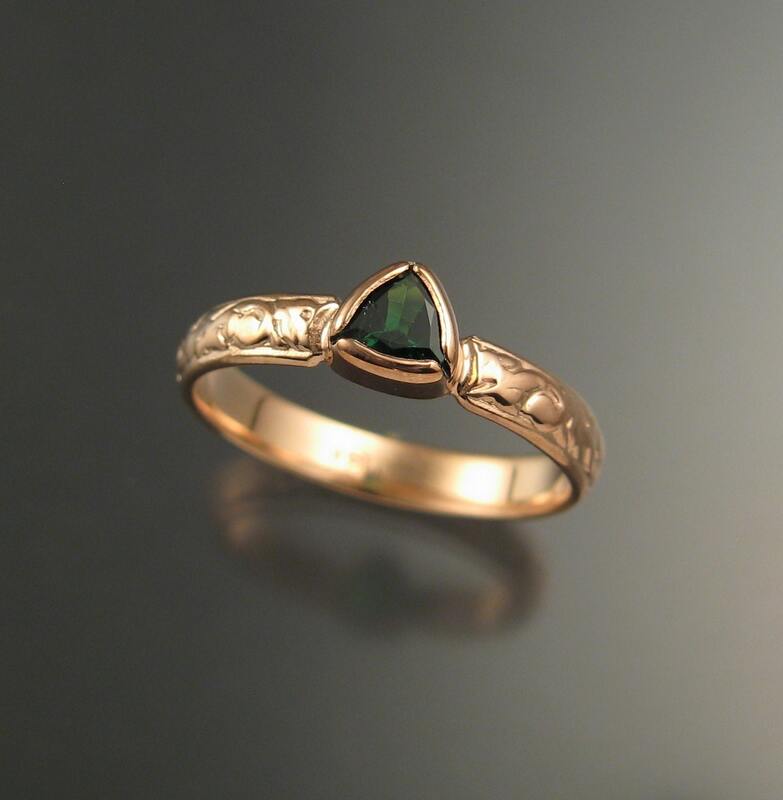 The color is similar and the stones have less inclusions than Emerald.